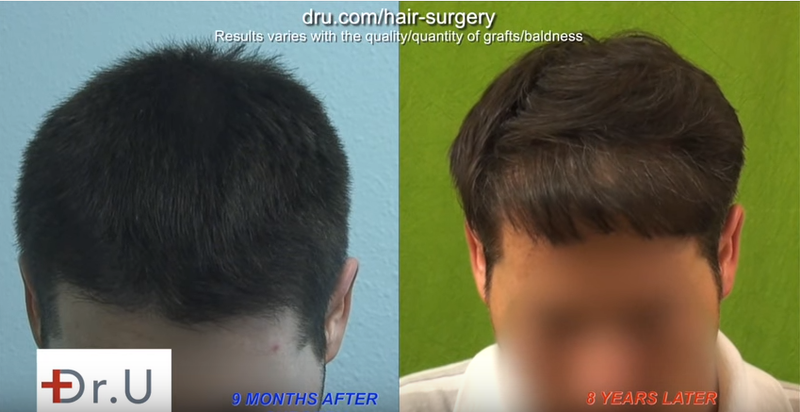 The video above illustrates the subject of hair loss progression after hair transplants poignantly. Since hair loss is progressive, often time additional surgery is required to catch up with the effects of time at a later date. 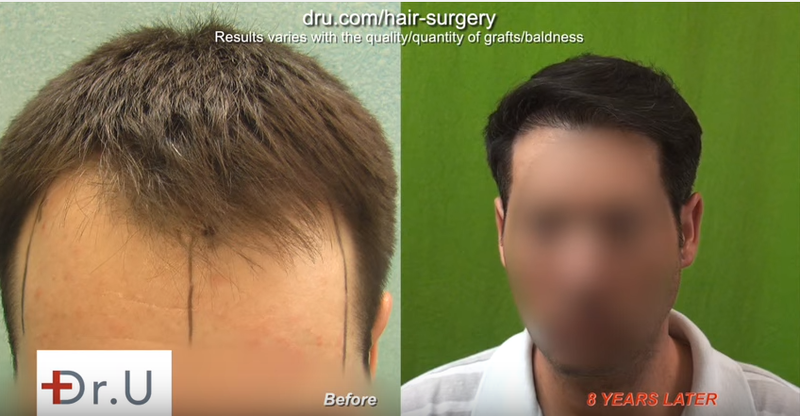 Importantly, it highlights what credible hair transplant clinics and doctors should discuss with all hair transplant patients at the time of first consultation. The patient should be given the full picture so they are able to make a rational decision with their long term interests and goals in mind. The younger the patient is at the time of surgery, the more time should be spent on this aspect of the consultation due to their unpredictable hair loss progression course. 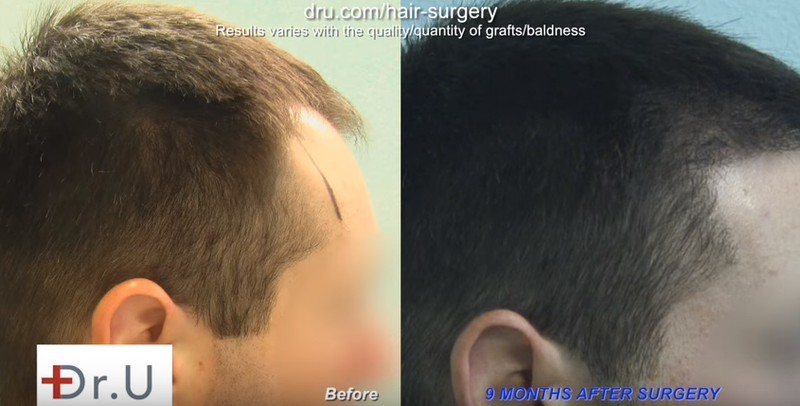 Read more about Dr U’s approach to hair transplantation in younger patients <a href="“https://www.dermhairclinic.com/fue-hair-restoration-for-young-patients/”">here. The photos below show his progress over an 8 year span. 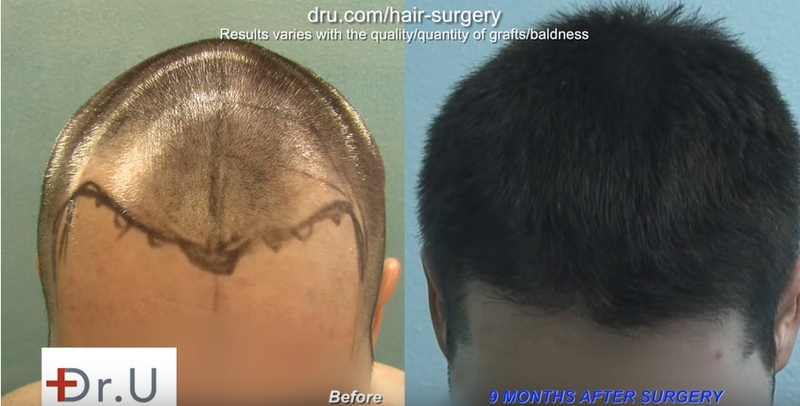 His original surgery added hair to his temples and advanced his hairline. 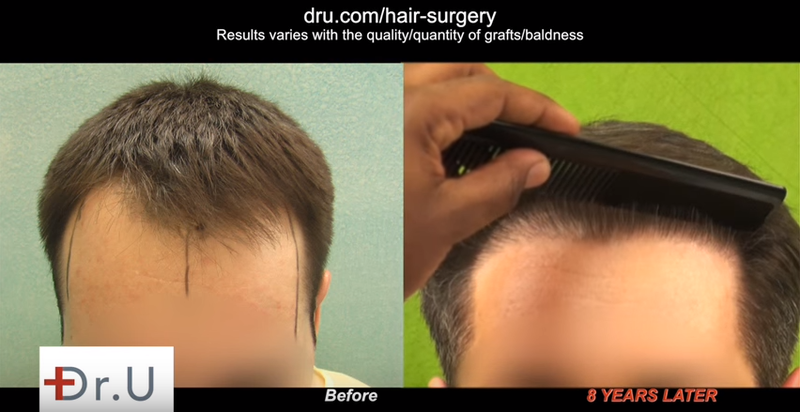 All hair transplant surgeries are done with the understanding that touch up surgery will most likely be needed further down the road. 8 years ago, Dr. U performed his FUE Shave Test to determine whether the patient’s nape hair would make a suitable donor area. The patient was deemed eligible, which ensured incredible results. 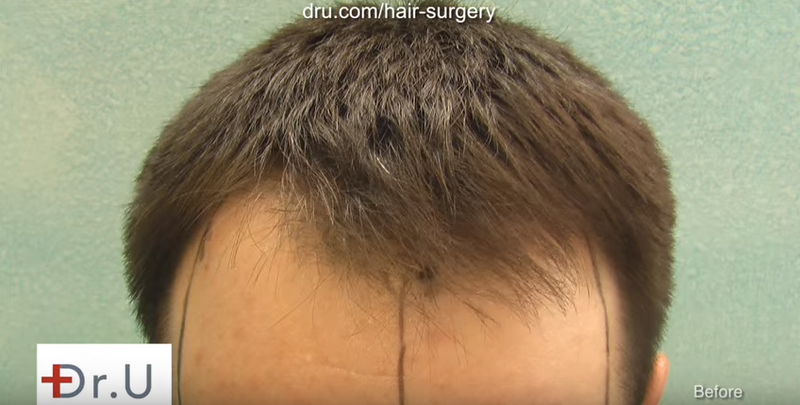 After 8 years, however, this patient’s new and old hair were creating a noticeable divide. Dr. U was able to perform touch up surgery to correct the imperfections and restore the patient’s confidence.